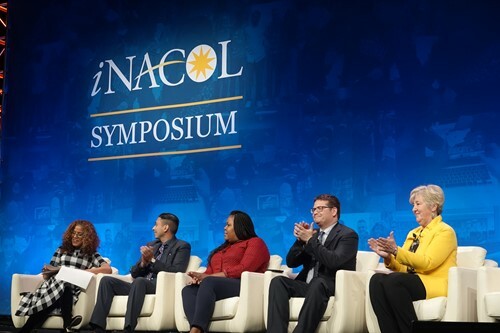 As a unique learning opportunity for students, Tiger Ventures was invited to the iNACOL, an international organization focused on personalized learning. U-E was invited to participate and share the Tiger Ventures experience of creating a new approach to high school with an embedded business incubator. Dr. Suzanne McLeod talked about the how students participate in a project-based learning environment, with startup entrepreneurs coaching students while simultaneously growing their business. Tiger Ventures is partly funded through a grant from XQ America.